This week’s cut-price classic is both an extreme rarity and a car that had a quite significant impact on the motor industry back at the time of its launch in 1983. It is one of just 16 of its type known to still exist, making the £695 asking price a veritable bargain for such exclusivity - but then, a Honda Ballade is hardly a McLaren F1 in terms of desirability. What it is, though, is a car that was pivotal in Austin-Rover’s 1980s reinvention, as the 1984-89 Rover 213 and 216 were essentially a Ballade out of a box, with a Rover front end and tail lights bolted on and, in posher models, a few bits of wood thrown in. If it was good enough for Hyacinth Bucket, it was good enough to drive the Rover image upmarket, while the Honda-engineered reliability also made the small saloons run like clockwork. 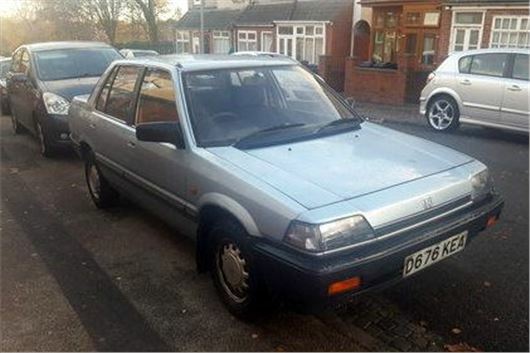 Were it not for rampant corrosion, something the Japanese hadn’t quite got their heads around in the 1980s, both the Honda and its Rover sibling would have been great cars.